Herbs for diabetes can help with an adjuvant role in this disease. Diabetes is a disease of high complexity and must be taken seriously and treated as such under medical advice. Diabetes mellitus is an endocrine disease characterized by an insufficiency of insulin (a hormone secreted by the pancreas, which provide cellular energy needs by using glucose) which leads to increased blood sugar (blood glucose). Symptoms of diabetes occur suddenly and are represented by excessive thirst, dry mouth, increased appetite, excess urinating and weight loss. Other symptoms are fatigue, vision problems and irritability. 1. Bilberry (Vaccinium myrtillus), adjuvant in diabetes treatment, is one of the most used herbs for diabetes. Bilberry fruits and leaves have an astringent action and reduces blood glucose. Moreover, the plant is recommended as an adjuvant in diabetes treatment. Bilberry leaf tea was one of the top treatments for people suffering from blood sugar disorders before the discovery of insulin. Bilberry leaves harvested before the ripening of the fruits contain myrtillin. Myrtillin can safely help to normalize blood sugar levels in many people who have lost this ability. It is rightly called "vegetal insulin" or "green insulin". Bilberry decoction recipe: Boil 20 g of dried leaves in 1 l of water for 15 minutes. Drink 2 cups each day. Keep the treatment for 20 days, then take a break for 10 days, then continue the treatment for another 15 days. For diabetes prevention is recommended an infusion from a teaspoon of dried leaves in a cup of hot water. Drink the tea in the morning, after breakfast. Contraindications: Bilberry leaf tea is not recommended for prolonged use, due to the high tannin content of the leaves that may damage the liver. 2. White Mulberry (Morus alba) & Black Mulberry (Morus nigra). Mulberry leaves regulate glycemia. Mulberry has earned its place as a herbs for diabetes for its hypoglycemic and astringent qualities. Prepare an infusion (obtained from a teaspoon of dried leaves in a cup of boiling water) and drink in the morning for 15 days per month. "Sage increases the body sensitivity to insulin up to 2-3 times" reports a German study on this topic. Drink a cup of combined decoction per day. Make an infusion from a teaspoon of leaves in one cup of hot water. Drink 2-3 cups per day. Chicory leaves and roots are recommended in diabetes diet. Chicory contains inulin, a substance that increases the body's glucose tolerance. Also, chicory reduces glucose production in the liver and stimulates the secretion of insulin from pancreatic cells. Drink a 1 l of combined infusion (chicory roots) per day. 5. Dandelion (Taraxacum officinalis). Diabetics should not forget about Dandelion. Dandelion stimulates digestion and helps spleen, liver, pancreas and gall function. In the Spring, dandelion cures are excellent. From early Spring you can make dandelion salads, or you can add dandelion to other greens salad. When the plant reaches full bloom, it's time for a cure from stems of dandelion - for 4 weeks, 10-15 stems per day. There is a green stem dandelion (grass green) and a milk-yellow stem dandelion. The yellow one is less bitter, more tender and tastier. Dandelion stems can be frozen. 6. Stinging nettle (Urtica dioica) is used as a diuretic and an adjuvant in diabetes. Consumed as fresh juice or infusion, nettle may help lower blood glucose. 7. Walnut (Juglans regia) leaves lower glycosuria and diminishes thirst. Make an an infusion from 20 g of leaves and 1 l of water. Drink 3-4 cups a day. 8. Burdock (Arctium lappa) purifies the blood. Burdock root is considered a remedy for over 50 diseases, including liver, spleen, diabetes, gout, cancer, asthma, psoriasis, hypertension and epilepsy. Prepare a tea from 1 teaspoon of roots. Leave them to soak overnight in 1 l of water. The next day, heat the mixture and strain. The daily dose is 2 cups, which are gradually consumed during 24 hours. Cure takes 14 days and, after a break of 10 days, it may be repeated. In combination with other herbs, such as Marigold, St. John's Wort, Chicory, Burdock root helps cleaning the body of toxins and fights Spring Asthenia. 9. Globe Artichoke (Cynara scolymus). In addition to the powerful cholagogue effect, Artichokes reducing sugar content in blood. Chop finely 30 g of Artichoke leaves and boil in 0.5 l of water for 10 minutes and then strain. Drink 1 cup in the morning on an empty stomach, and another in the evening shortly before bedtime.In the evening you can drink the tea with a few drops of lemon juice. 10. 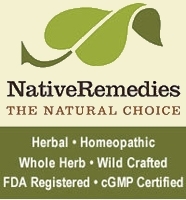 Dog Rose (Rosa canina) leaves are full of vitamins and can help strengthen the body. The powder obtained from the fruit pulp is used in the manufacture of medicines for Type 2 diabetes. Prepare a decoction by boiling 2 teaspoons of dried leaves in 1 l of water. Drink throughout the day. It is recommended a tea from a mixture of birch leaves, bilberry leaves and beech leaves in equal parts. Put 1 tablespoon of this mixture in a cup of boiling water and let it steep for 1 minute. Strain and drink 2 daily (one in the morning and one in the evening).